EghtesadOnline: The Subsidy Reform Plan and the pricing of energy carriers topped the agenda of Majlis Joint Commission in its sessions to revise the rejected budget bill for the next fiscal (March 2018-19) on Monday. 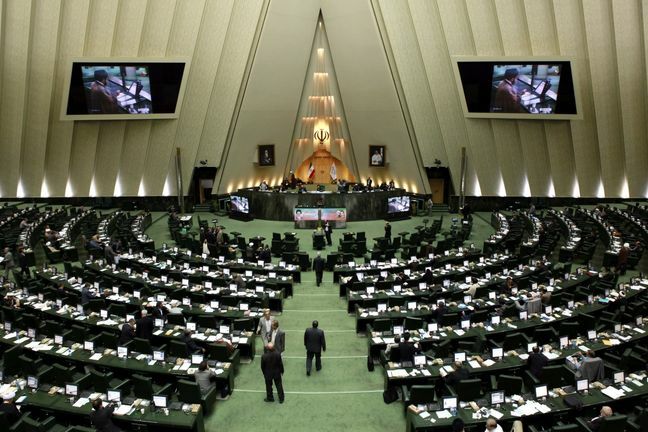 A day earlier, Iran’s Parliament rejected the general outlines of the proposed budget bill for the first time in the history of the Islamic Republic. The general outlines were rejected by a vote of 120 to 83 and referred back to the joint commission to be revised within three days. The commission is a parliamentary body responsible for reviewing the budget bill as well as the five-year economic development plans proposed by the government before its final ratification, Financial Tribune reported. President Hassan Rouhani had presented the budget bill to the parliament on Dec. 10. A second and final rejection of the budget upon a parliamentary vote scheduled for Saturday would obligate the government to put together a new bill and the commission to undergo a major shakeup. Jalal Mirzaie, one of the legislators who opposed the budget on Sunday, described the proposed spending bill as "extravagant" and "without consideration for priorities". “Spending cuts and income growth should be pursued to resolve economic problems. These two are nowhere to be seen in the proposed bill. Amendments by the joint commission evoke memories of the former government. Under the name of equality, not rewarding some members of the society, including the academia and judges, with higher salaries will be disheartening. Hopefully, the government will have much leeway like Scandinavian countries to reduce expenditure and prepare the ground for youth employment,” Mirzaie said. Mohammad Hossein Farhangi, who represents Tabriz in the parliament, opposed the bill over its overreliance on selling treasury bonds. "Over the past few years, the government has issued bonds to finance development projects whereas it is now borrowing to meet its current expenditure," he said. Farhangi noted that the bill did not pay attention to the problems of pension funds. Criticizing the hidden budget deficit in the bill, lawmaker Mohammad Javad Abtahi said financial bonds are ballooning the budget. "To address the deficit, the government is borrowing, taxing and issuing Islamic corporate bonds [including Mosharekat] and that is widening the deficit," he said. The commission on Monday decided to reduce the borrowing limit via Mosharekat bonds by 200 trillion rials ($4.44 billion) next year. Claiming that lending support to the private sector was an "empty slogan" in the budget bill, Behrouz Bonyadi expressed his opposition to the bill. Bonyadi noted that 40% of the country live below the relative poverty line while 32% are under the absolute poverty line, which figure hits 60% in rural areas. "How will the government discontinue cash subsidies of some 30 million people? The social consequences of such a measure will be unbearable,” he said. The commission has allowed the government to gradually remove 33 million people from the list of cash subsidy recipients in a two-stage downsizing program. "High-income households will be removed from the program in the first three months of the next fiscal year (starting March 21)," said MP Fatemeh Hosseini, who is a member of the joint commission. Hosseini noted that 70 trillion rials ($1.6 billion) will be spent for eliminating the absolute poverty of households covered by the Imam Khomeini Relief Committee and State Welfare Organization, as well as for offering social insurance to the female breadwinners of needy families. "As per an addendum added to the bill by the commission on Monday, people supported by the Imam Khomeini Relief Committee and State Welfare Organization, rural residents and low-income individuals, particularly residents of deprived suburban areas, will not be subject to the cash subsidies downsizing program," Ali Asghar Yousefnejad, the commission's spokesman, told ICANA on Monday. According to MP Alireza Salimi, the next year’s budget bill has envisioned the withdrawal of 210 trillion rials ($4.66 billion) from the National Development Fund of Iran (Iran’s sovereign wealth fund), a 200% rise compared with the current fiscal budget. "In doing so, NDFI will meet the same fate as the now-dissolved Foreign Currency Reserve Account," he added. The budget is not "workable", MP Mohammad Lahouti told ILNA. "Many reasons are behind the lawmakers’ opposition to the bill, including the commission’s drastic slashing of the capital expenditure budget by obliging the government to keep energy prices and the mechanism suggested for narrowing the list of monthly cash receivers unchanged,” he said. Lahouti also said the parliamentarians were against the Health Reform Plan and the project to transfer water from the Caspian Sea in the north to the drought-ridden Semnan Province.